In Japan, winter is ending, and we are starting to enjoy the warm spring atmosphere. I hope you are also enjoying the start of spring in your country and region. The Sochi 2014 Winter Olympics was held in February, and I was deeply moved by the determination and spirit of the competitors, and from their facial expressions after their performance, I was able to sense the hard training they needed to overcome to reach this stage, and I deeply respect their strong dedication. It was also refreshing to see the international interaction in the friendship developed between competitors of different regions and countries. I would like to express my respect to the competitors who have put forth continuous hard effort, and my appreciation to the numerous scenes of excitement and inspiration they have provided us. Thank you very much. Our WKO will also start our path towards the “Inclusion of Full Contact Karate in the Olympic Games”. As a start, Japan, the mother country of Karate, will become the standard model and hold a unified All Japan Championship in May. The time has finally come to announce the Japan model to the world. 360 competitors of the highest level, from the affiliated groups of JFKO will participate in this tournament to decide Japan’s No.1 in Full Contact Karate. We will invite many domestic and international guests to this event, as witnesses of this historical step towards change. Several WKO Branch Chiefs have communicated their intention to attend and observe the event, demonstrating the high level of interest towards this tournament. The unified front of the Karate world, something we have dreamed and hoped for. The cooperation and discussions between the leaders of different groups is quite fun, and although there are times when we exchange our opinions and thoughts from different angles, I feel a new history forming when we take the effort and time to reach a conclusion all together. The bond formed between those who share the hardship and pain of creating something, is very deep and strong, and I believe the answer and result of our efforts will be seen in the excitement and passion of the competitors at the tournament. Let us do our best in the time we have left to prepare for the tournament. Parallel with the activities for the Olympic Games, we are also holding WKO events as well. The annual WKO Grading Exam was held in early March, and 25 challengers from across the world went through a hard, strict exam. The hard effort of Brach Chief Yasuhiro Yamasaki, 60 years old, who completed the full exam including the 10 man Kumite, and passed the exam to become 4th Dan, is worthy of special mention. I would like to thank him for demonstrating the approach of a Budoka, who strives to be active and in training throughout life. Congratulations to those who passed the exam, and I will be looking forward to your further development and training. I would also like to express my appreciation to Shihan Brian Fitkin, who attended the event from Sweden, and gave the grading participants strict and warm guidance. In coordination with the timing of this grading, we had the filming for the new Kata DVD. This project was led by WKO Technical Committee Chairman Yasuharu Fujihara, and done in close cooperation between the WKO Grading and Technical Committee. The main performers were Taishi Watanabe and Emi Shoguchi. 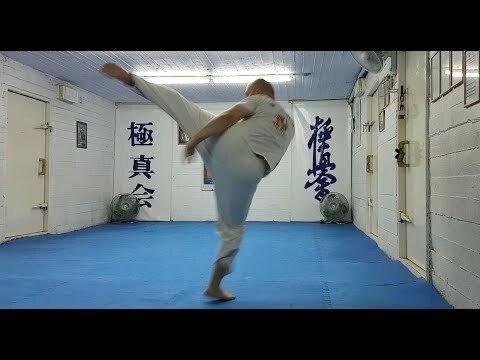 Although they have a high international reputation for their strong Kumite, their Kata is also excellent. During this DVD filming, there were instances when they were given technical guidance, and they responded every time by adjusting appropriately in a very quick manner, displaying their high ability as Karateka. They did a spectacular job and I am proud of them. I would like to thank the Shihans who participated and did their best for this project, especially those who came to Japan from overseas, Shihan Howard Collins, Shihan Brian Fitkin, and Shihan Juan Carlos Escalera. I am sure that the entire world will enjoy the new Kata DVD. We as WKO, need to further develop our activities in order strengthen our WKO identity, while doing our best to join the Olympic Games. 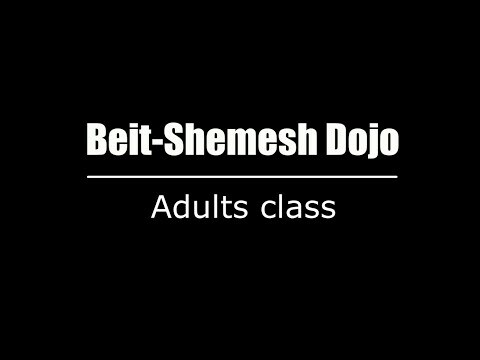 Various events and projects, such as the holding of grading exams and the global standardization of techniques through the Kata DVD, will be our foundation to build our strongest and largest Budo organization. The roots of all this, will be the continuation of our daily training. While not losing sight of our own identity, let us continue our path towards our dream, to join the Olympic Games. Let us join our hands, and continue to try our best.